One of the loveliest things about exploring Melbourne town on any given morning is willingly losing yourself in the arcades and alleyways. While I was wandering through Hardware Lane doing just that, I could help but notice a quaint little macaron house called La Belle Miette. Of course it was the name that got my attention. 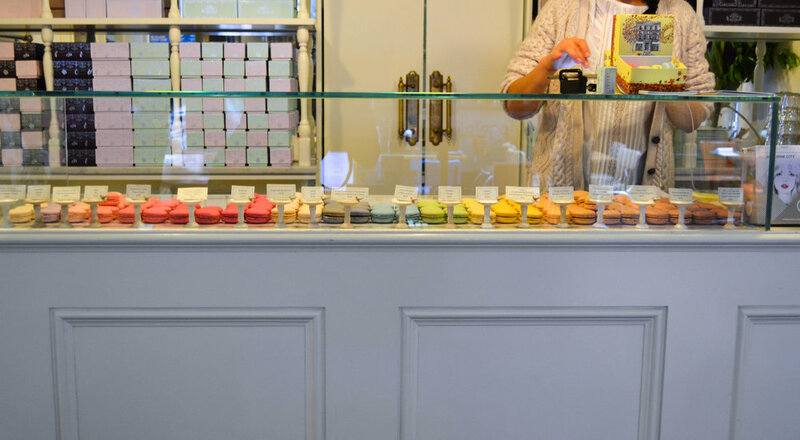 It instantly reminded me of the first time I walked through the Ferry building in San Francisco, and discovering Miette – another must see for lovers of all things French and sweet… (Sarah, I’m looking at you). I wandered in and had myself a chat with the lovely shop assistant. She told me about the best seller salted caramel (naturally), and another exciting little number, scones with jam. So I bought myself a box of six filled with those two flavours, including macaron staple flavours passion fruit and raspberry too. A few more minutes to capture a few photographic memories and off I went. The macarons made delicious companions on a rainy Melbourne morning.